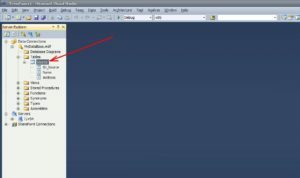 This topic shows how to create a counter field (a unique field) in the table of the Microsoft SQL Server database that is located in the file “MyDataBase.mdf”. An example of creating a table in the local database of the MS SQL Server system, which is located in a separate “* .mdf” file. 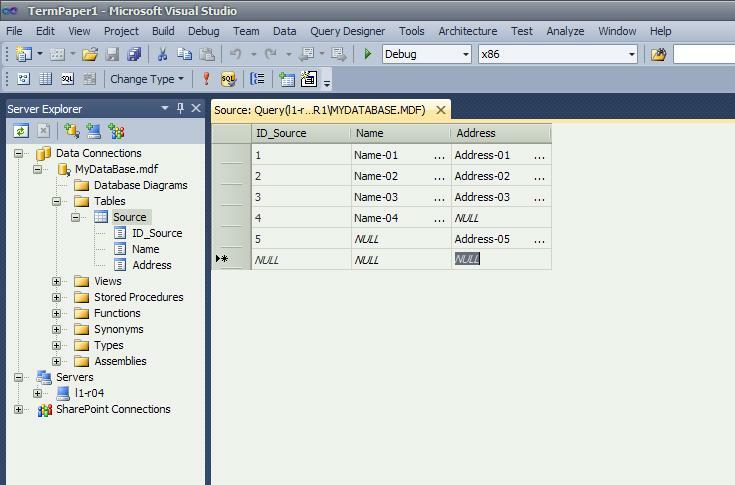 The files “MyDatabase.mdf” and “MyDataBase.ldf” of the database are designed to work in the Microsoft SQL Server relational database management system are given. Archive with files can be downloaded here. Address – type of ‘string’ of 100 characters. 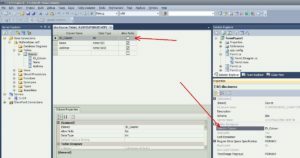 In the task you need to make the field ID_Source unique counter. When adding a new record to the table, the value of the field should be increased by 1 (autoincremental field), that is, be unique. 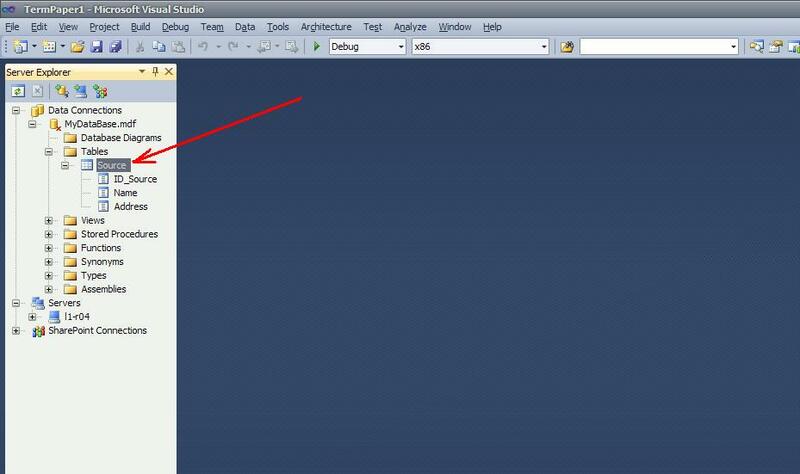 Run the MS Visual Studio. 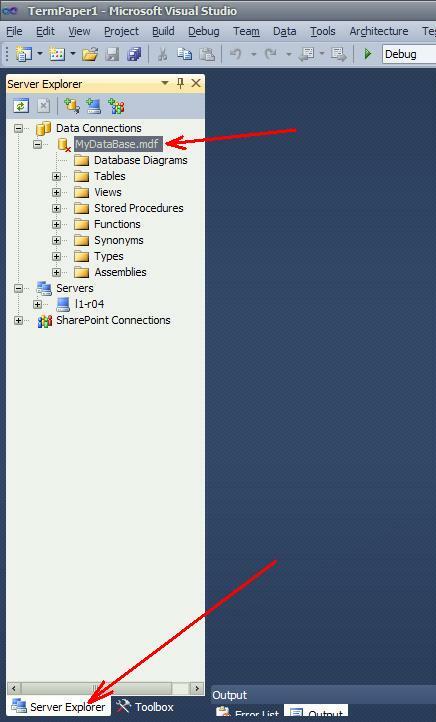 Using the Server Explorer utility, you need to connect the previously created files “MyDataBase.mdf” and “MyDataBase.ldf”. Archive with files can be downloaded here. It is recommended that the files be placed in the same directory. 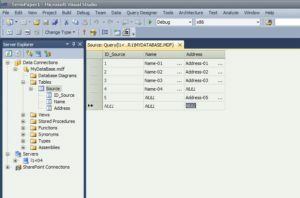 An example of connecting a “*.mdf” file to a local database of the MS SQL Server type. After connecting the database, the “MyDataBase.mdf” database will be displayed in the Server Explorer window (Figure 1). The database contains one ‘Source’ table (Figure 2), which contains fields in accordance with the condition of the task. In accordance with the condition of the task, the ID_Source field must be unique. Modern databases support the uniqueness of fields. This means that when a new record is added to the database, a new unique value is automatically generated. Typically, when you add a new record for an integer type, the new unique value is incremented by 1 relative to the previous unique value (optional). It is impossible to manually or programmatically change the value of field records, which is a counter (a unique value). All this work is done by the database management system. save and close the ‘Source’ table. After the performed actions, the ID_Source field will automatically generate a unique integer value. Now you can use this table in your projects. 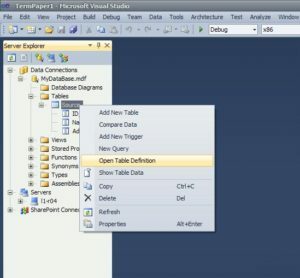 After you set the ID_Source field in the table as a unique counter, you can programmatically or manually fill the table with data (records). 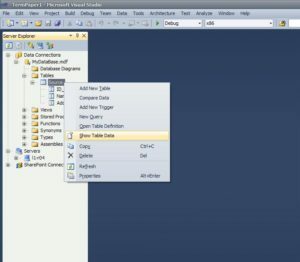 enter data into the Source table. 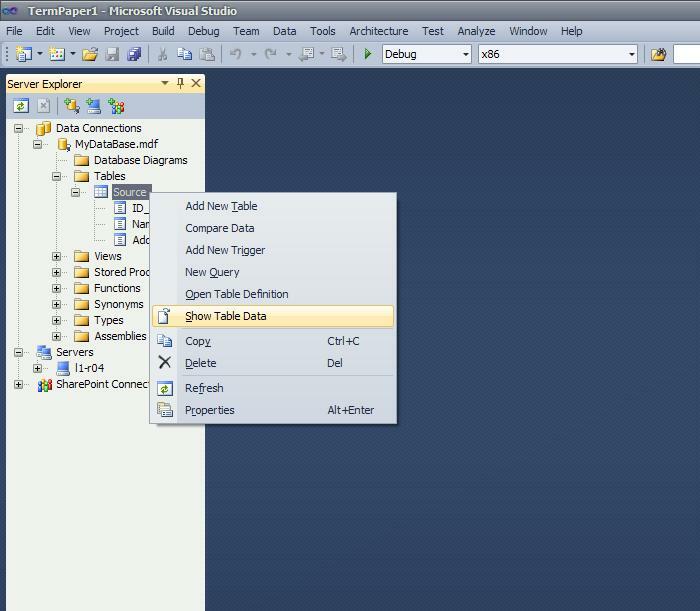 Because the ID_Source field is a counter, you can not enter data into this field. 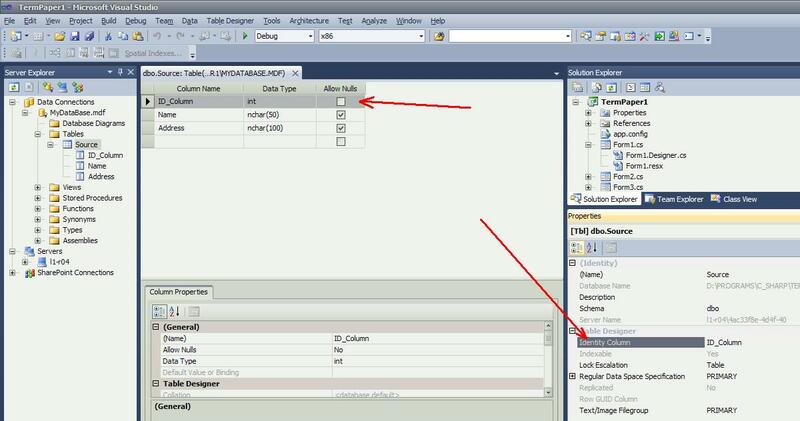 You can enter data only in the ‘Name’ and ‘Address’ fields. The value of the ‘Source’ field will be generated automatically.